Information systems have an enormous potential for improving business performance. With this in mind, companies must set out to exploit and optimize this potential without delay in order to improve their efficiency and continue to set themselves apart from the competition. This comprehensive text provides the information needed to understand and implement these systems at a practical level. 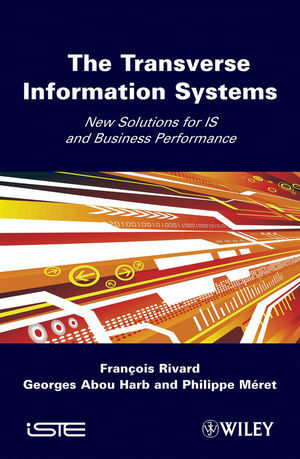 François Rivard has written five books and is a senior manager with Logica Management Consulting. He helps companies to transform their information systems and to build innovative architectures based on NISS. Georges Abou Harb, the deputy CEO of Logica Management Consulting, is in charge of service-oriented architectures and new information system solutions, a leader in France since 2002. Philippe Meret is a highways engineer and holds a master's degree in distributed information systems. He is responsible for BPM/S in Georges Abou Harb's team.